It seems Stanford's Sihwan Kim is a freshman in name only. Kim, who joined the Cardinal with a superior junior golf résumé, already leads the team in scoring and collected his first win at last week's CordeValle Collegiate in San Martin. Stanford, Calif. - Matt Tight, a Pepperdine alum, has been named an Assistant Coach for the Stanford men's golf team announced Head Coach Conrad Ray today. 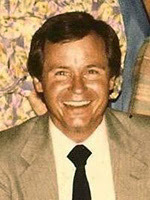 Prior to joining the program, Tight served various roles in the investment banking industry both in New York City and Chicago. Zack Miller, recent Stanford grad, fired a 68-66 in his last two rounds to finish 3rd at the PGA Qualifying school tournament held at San Juan Oaks. Zack now moves on to the 2nd stage where he will have a chance to earn his playing card for either the Nationwide Tour or the PGA Tour. Cardinal is honored at the spring NCAA Champions Day. 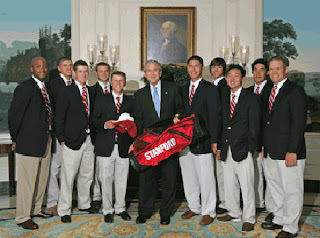 Washington, DC - The 2007 national championship Stanford men's golf team was honored today at the White House in a championship reception on the South Lawn with President George W. Bush. The team was part of a ceremony that included more than 20 national championship teams as part of White House NCAA Champions Day. The Cardinal squad won seven team titles in 2007 and captured its first national title since 1994 at the NCAA Championships in Williamsburg, Va. on June 2. The team led wire-to-wire at the championships, and claimed the program's eighth overall title. The Cardinal finished at 11 under 1,109 (275-278-275-281), at the par 70, 6,803 yard Golden Horseshoe Golf Club, to stake a 12-stroke victory. All five Cardinal golfers earned All-America honors, the most of any season in program history. 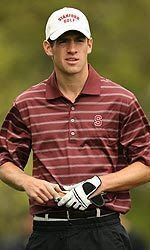 Williamsburg, Va. - The national ranked Stanford men's golf team led wire-to-wire at the 2007 NCAA Championships, capturing their first NCAA title since 1994 and eighth overall. The Cardinal finished at 11 under 1,109 (275-278-275-281), at the par 70, 6,803 yard Golden Horseshoe Golf Club, to stake a 12 stroke victory. Stanford's last NCAA title came in 1994 in McKinney, Texas where the Cardinal squad of William Yanagisawa, Notah Begay III, Casey Martin, Steve Burdick and Brad Lanning recorded a team score of 1,129 to take top honors.